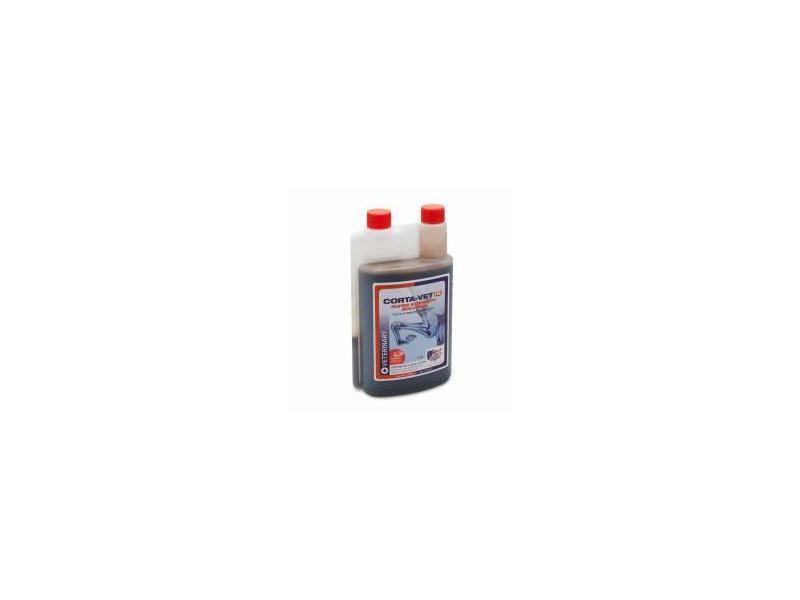 Extensively used throughout the equine industry to promote joint health and flexibility. 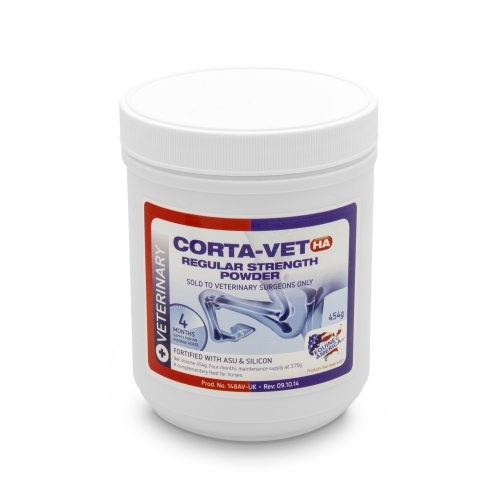 Corta-Vet products are powerful dietary supplements, developed using top quality ingredients to create a unique formulation of only the essential isolates of Chondroitin and Glucosamine. For a 500kg horse, per day: For hard work: 7.5g. For maintenance: 3.75g (half measure). Maximum per day: 7.5g. 7.5g measure enclosed. Technological Additives: Glycine, Glutamic Acid, L-Proline, Aspartic Acid, L- Serine, Monosilicic Acid - E551a - 500mg/kg. Preservatives: Ammonium Propionate - E280 - 1000mg/kg . Anti-oxidants: Ascorbic Acid - E300 - 800mg/kg. Nutritional Additives: Vitamins & pro-vitamins: Pyridoxine Hydrochloride - 800mg/kg. Compounds of Trace Elements: Manganese Sulphate-800mg/kg, Copper Sulphate - E4 - 10mg/kg. Amino Acids: L- Arginine, L-Leucine, L-Valine, Phenylalanine, L-Histidine. D-Glucose - 845,090mg/kg, Isolated Soya Protein Concentrate - 80,000mg/kg, Collagen Hydrolysate, Sodium Hyaluronate (HA) - 3,700mg/kg, Avocado Soybean Unsaponifiables (ASU), Sulphur (MSM). For a 500kg horse, per day: For hard work: 15ml. For maintenance: 7.5ml. Maximum per day: 15ml. Feed others according to body weight - less for smaller horses and ponies, more for larger breeds - or as directed by a Veterinary Surgeon. Technological Additives: Glycine, Glutamic Acid, L- Proline, Aspartic Acid, L- Alanine, L- Serine, Monosilicic Acid- E551a- 500 mg/kg. Anti-Oxidants: Ascorbic Acid - E300 - 800mg/kg. Compounds of Trace Elements: Manganese Sulphate monohydrate - E5 - 800mg/kg, Copper Sulphate pentahydrate - E4 - 10mg/kg. Amino Acids: L-Arginine, L-Histidine, L-Valine, L-Isoleucine. Water, Isolated Soya Protein Concentrate -80,000mg/kg, D-Glucose - 80,000mg/kg, L-Glutamine, Collagen Hydrolysate, Sodium Hyaluronate (HA) - 3,700mg/kg, Avocado Soybean Unsaponifiables (ASU), Sulphur (MSM). Below are some recent questions we've received regarding Corta-Vet Joint Care for Horses, including answers from our team. We have a 15 year old pony, 10.2h and is stiff in his hind leg. He does suffer from Laminitis so I am very careful what he has. 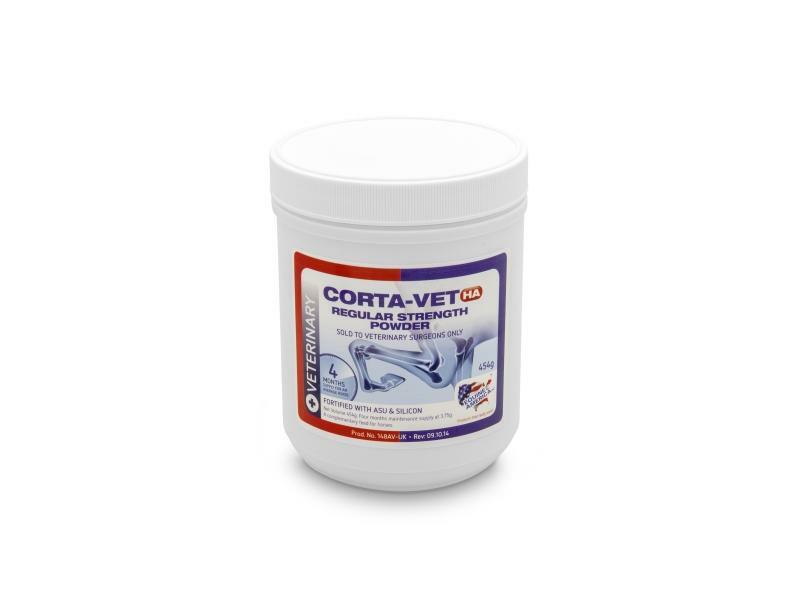 I would like to know if this product would help and not cause laminitis otherwise could you suggest some thing else? This would be a suitable product to try for your pony. It should not cause laminitis and might well help with his mobility. How well any individual responds to this sort of product is difficult to predict and does vary from one to another, but it is certainly a good product to try. Would cortavet ha help with my gelding with his stiff hind leg? He is almost 5 and vet suggested he may suffer from sticky stifle on his right hind? If not cortavet what would be best ? This is a bit of a shot in the dark, but it might well work. It sounds as if there is not a precise diagnosis here, although it seems that the right hind leg does not show normal mobility. Sometimes this product will seem to help with this type of problem and it is as good a thing to try as any other. You should follow your vet's general advice regarding feeding, exercise etc and then it is fine to try this supplement for a few weeks as well and see how things go. I giving my horse pergolide for early cushings. Is it ok to give her joint supplements for arthritis such as cortaflex or glucosamine? Many horses are on joint supplements and pergolide at the same time. It seems to be perfectly OK to do, but ideally you should aim to not swap and change between different joint supplements abruptly.